Last week Instagram launched a Business Blog as a resource for brands that want to utilize the platform to connect with their audience and share their brand message. This may be the first social network to create a blog specifically for business users of the platform. With 80 million users and at least a dozen Instagram brands on their Suggested User List, businesses have been using Instagram since the early days, and with little guidance. Fans of the app embrace its simplicity, ease to snap and share photographs, and its great community. But for a brand using Instagram much like other social networks, there is room for improvement when it comes to management and metrics. Using InstaDesk and Statigram eases some of the load, but the following lists details improvements to be desired. The Instagram business blog (seen below) should be a great first step to reaching out to more brand users of the platforms and helping them use the service better. But we also hope it is a place where recommendations can be added and discussed. Don’t get me wrong, I love Instagram. We simply want to help them keep pushing things forward. Other social networks allow this and it shouldn’t be too difficult to roll out. It would finally make logging in and out a thing of the past. Brands should have a pulse on evangelists or super-users. At the moment, you have to search each user. For hashtags, the app will save your recently-searched tags, but only for a time. It’d be great if permanent lists of users could be saved. A section under “news” where you can see all of your mentions. As of now, Instagram only shows your most recent mentions and they are mixed in with likes. Many mentions of your brand go unnoticed, making it difficult to engage with users talking about your product. How often do you scroll past photos without liking or commenting? Those eyeballs are valuable to brands and data that would be useful to have. A metrics dashboard is becoming the norm when it comes to brand activity online. See Facebook, Twitter, Foursquare. This type of data access is important when brands decide to spend time on your platform. Facebook shares, Twitter ReTweets, Tumblr re-blogs, and Pinterest re-pins. If Instagram can find a way to make a simple re-post while preserving the integrity and source of the original image, it will take interaction to a whole new level. When you hear brands talk about “reach” they are talking about the number of people that see a message. Increasing reach is huge and the ability of a photo to spread greatly increases when people are allowed to more easily reshare content. And it turns out people are a pretty good filter. They reshare great content more often than not. This isn’t something I want to see as a user, but brands want to put the best quality out there and sometimes that means using something stronger than a cell phone. If they ever rollout a complete web-based experience, this should be on it. Maybe it is a paid feature, for brands and professional photographers. Many people complain the Explore Page (formerly known as Popular Page) doesn’t showcase the best or most relevant photographs. Trending topics could relate to news, sports, or global events and be sourced by hashtag and geo-location. Twitter does this extremely well, and has monetized it in an unimposing way. Google has a similar unmonetized feature. Users like to browse for great content, relevant to them. This feature would allow more of that, and allow brands another channel to extend their audience. This isn’t something I want to see as a user, but it seems like a possible step. Since brands are already suggested users, Instagram could showcase other brands for a fee in users feeds. This is practically becoming the norm for social networks. Instagram is great, and many might think a promoted posts would dull the shiny patina, but social networks need to make money to stay around, and promoted posts are a proven way to do that. 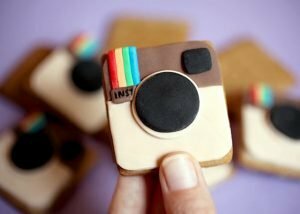 What features do you think brands could benefit from on Instagram? Add your ideas and we will pass them along.